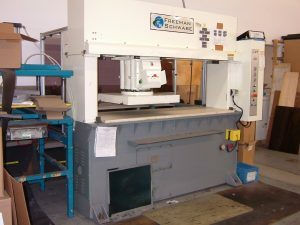 Accu-Shape Die Cutting has a variety of machines that are used to cut many different materials. 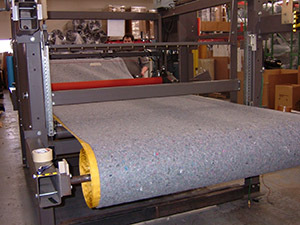 Our machines are able to cut wide width materials using high tonnage allowing us to produce high quality products at a faster rate than our competitors. Accu-Shape Die Cutting is able to cut material from a wide variety of widths, lengths and thicknesses. 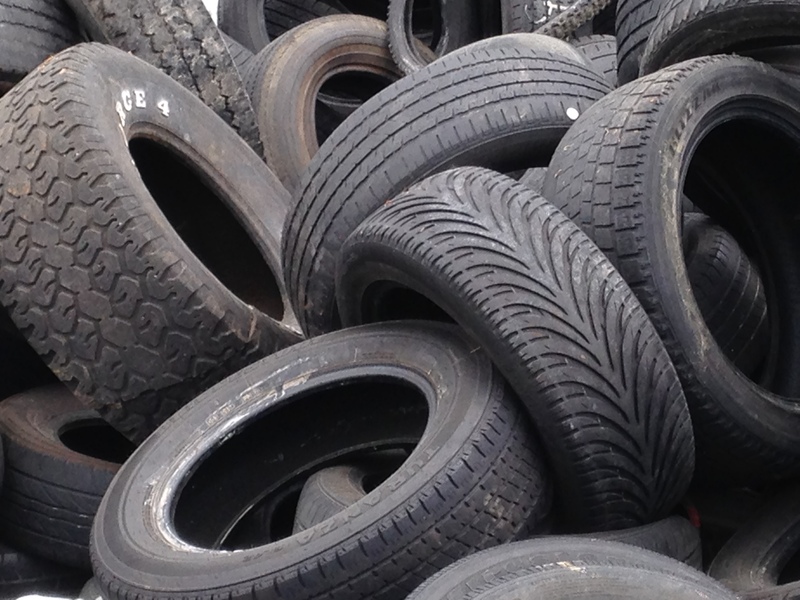 Our machines also vary in pressure with a maximum pressure of one million pounds! Meet all defined customer requirements in an effective manner, and strive to continually improve performance and further satisfy the customer. Increase customer satisfaction through minimization of customer concerns, on-time completion of production part submissions, and successful product launches. 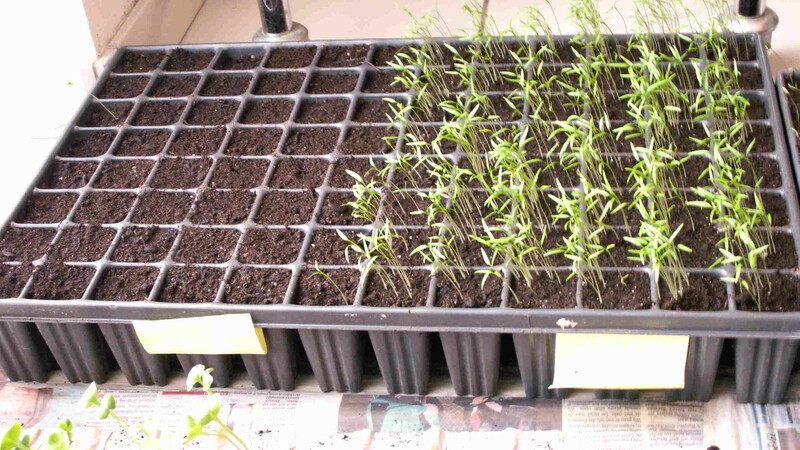 Increase productivity through efficient utilization of resources and reduction of waste. 100% on-time shipments to customers. 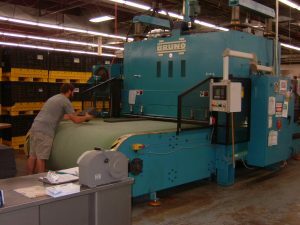 This 500 Ton Bruno Belt Feed Press (or 1 million pounds of cutting pressure) is capable of cutting parts as large as 80” x 75”. 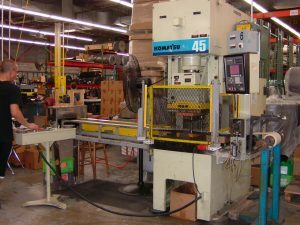 These presses are used to cut heavy duty material at a fast rate. 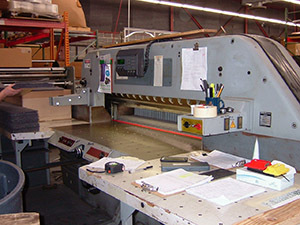 Our 350 Ton Bruno Belt Feed Press is capable of cutting parts as large as 72” x 60”. 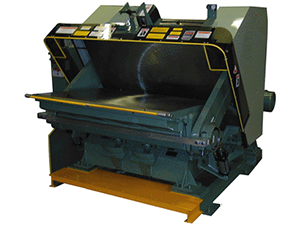 BRUNO presses are manufactured with all steel fabrication that are stress-relieved. 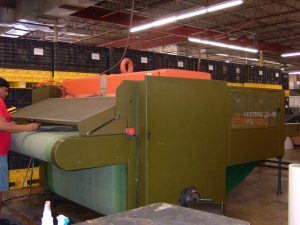 The 110 Ton Atom Belt Feed Press is capable of cutting parts as large as 77” x 52”. This machine is also capable of 20 cycles per minute. The Platen Die Cutters offers a very accurate cut providing better quality of products than your traditional cutting method.Kiss Cut Parts is a specialty. 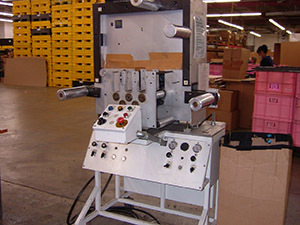 Side die loading is a unique option with this design while providing fast die changeover. 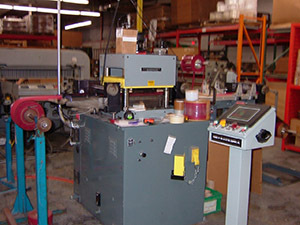 Thicker parts can be converted in this press. The slitting carriage is positioned on precision ground linear bearings, providing low friction travel & optimum accuracy. Proportional blade penetration speed & transversal displacement via brushless servo motors allow for precise slitting tolerances & improved finished quality. The Schneider Cutter combines flawless precision with great reliability. These cutters are often used for paper cutting and foam cutting. 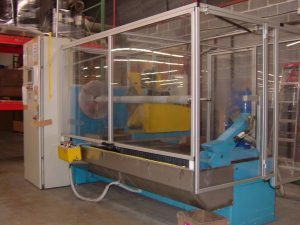 Ttarp designs and manufactures 60″ heat laminating systems to laminate, slit and rewind heat-activated or cold-bonding adhesive products. 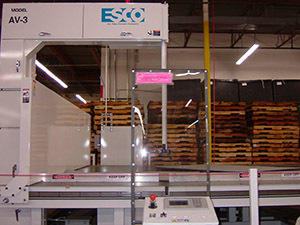 The control panel features an interactive operator screen that allows simple entry of required sheet quantity and thickness, as well as downloading of preconfigured cut sequences.